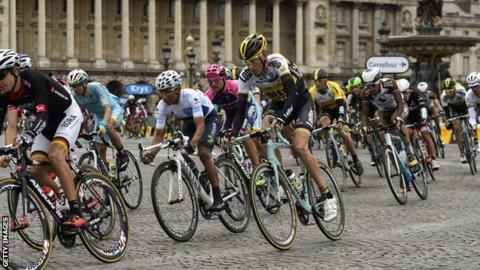 The 2017 Tour de France will begin in the German city of Dusseldorf, it has been announced. London turned down the chance to host the Grand Depart, citing the cost of staging the event - reported to be about £35m - as the reason. It will be the first time since West Berlin in 1987 that Germany has hosted the opening stage of road cycling's premier race. La Manche in north-west France will host the 2016 Grand Depart. This 2015 event started in the Dutch city of Utrecht, a year after thousands came to Leeds to watch the cyclists set off.